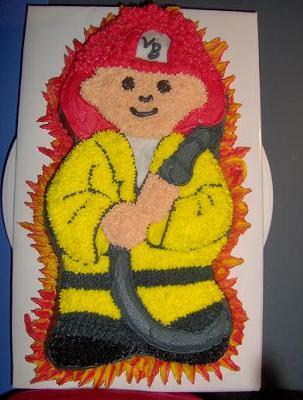 This fireman cake was made with a shaped pan and went with the firetruck. I used 1 cake mix. I used a round tip and star tip and buttercream icing. Grey, red, skin tone, black, yellow and white colors.